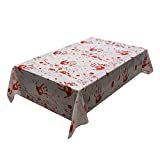 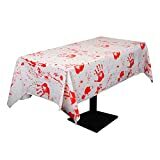 At your next Halloween party, protect your table by covering it up with this gruesome new Dripping Blood Tablecloth. 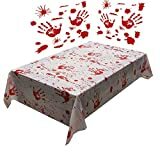 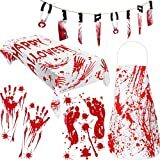 This blood drenched decorative table cover looks like it was used during a brutal dismemberment, with a gory blood-red top and more blood splattered and dripping down the sides. 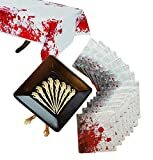 I don't know about you, but it sure makes me hungry for more appetizers!